LynchyRightNow: Smart Move . 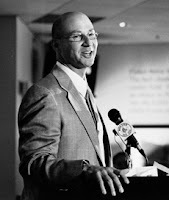 . .
Sunday afternoon the Boston Red Sox made their best move this off season, they awarded current manager and two time World Series champion, Terry Francona, a three-year contract extension. Francona has done a remarkable job managing in the most pressure packed environment in professional sports. In Boston, we require the manager of our beloved Red Sox to not only dedicate himself to the position but deal with the constant barrage of speculation, criticism, and irrational thought from fans and media alike. Decisions made during a meaningless game in the dog days of June are ripped apart as if they decided the outcome of game 7 of the fall classic. Francona seems not only conscious of this fact but welcomes it. Hired after one of the largest disappointments in Red Sox history-the 2003 ALCS-Terry Francona was brought on board to manage the franchise to its first World Series win since 1918. Mission accomplished-and then some. An average of 71 wins per season as manager of the Philadelphia Phillies from 1997 to 2000, he didn't exactly "wow" the Boston fans after his hiring. However, as manager of the Sox, his averaging 94 wins and a playoff appearance 3 out of 4 years goes far beyond wowing us. Media and fans are very aware of the accomplishments of Francona; some would even go so far as to call him the best manager in Red Sox history. I am one of those some. Whether it be the personalities of Pedro Martinez and Curt Schilling or the controversy surrounding Theo Epstein's resigning and then return, Terry seems unaffected by it all and just does the one thing we request; win. As much as we wanted to see the re-signings of Mike Lowell, Jason Varitek, and Pedro Martinez, the man we should have been the most concerned about leaving is the skipper, Terry Francona. Congrats Terry, we're all glad you'll be with us for at least another three seasons.